Prognosis can be a trepidacious component of the post-stroke conversation. Practitioners are often hesitant to provide concrete answers to patients and their families, leading to frustration on both sides. Multiple stroke prognosis scores have been created over the years and focus on NIHSS, age, and non-lacunar sub-type as the main variables. These scores are limited by lack of external validity, use of variables not universally recorded in the stroke registry, and limitation of use for either ischemic or hemorrhagic stroke. This British study demonstrates external validity of a model that uses these common variables to predict 30 day ischemic/hemorrhagic stroke mortality. Internal data was derived from the Sentinel Stroke National Audit Programme (January-June 2013) and external validation was done using the South London Stroke Register (2005-2012). age (<60, 60-69, 70-79, 80-89, 90 or greater), Afib, ischemic or hemorrhagic stroke subtype, and NIHSS. The 2 models differed in that A used the full NIHSS while B used only the level of consciousness component. The disadvantage of this model is that its c-statistic predictive value is not significantly better than prior models, like the iScore. Other limitations include this model being internally and externally validated in a UK (albeit ethnically diverse) population. It is also unknown whether these patients received IV-tPA, clot extraction, or aggressive measures for their bleeds, all of which would certainly skew outcomes. The advantage of this model is that it only uses a few key variables and may be used for ischemic or hemorrhagic stroke. NIHSS’s are often incomplete in the medical record and level of consciousness alone appears to be a good surrogate. The population from the Sentinel program was unselected thereby making it more robust. Future stroke studies may now consider this model given its external validation and permission of cases mixing. Should one RESPECT the CLOSURE of a PFO? Nah, a pill will do! PFOs have high prevalence in the general population, but have been found more often in patients with cryptogenic stroke, and with larger size and associated atrial septal aneurysm. One of the most controversial topics in the stroke community over several decades has been the issue of patent foramen ovale (PFO) and its association with cryptogenic stroke, as well as medical therapy v/s closure of the atrial septal defect. In the last 3 years, 3 randomized controlled clinical trials have been published amid a lot of scrutiny and hype. CLOSURE I trial, published in 2012 was first of the three, and compared closure with StarFlex device to medical therapy in cryptogenic stroke patients with PFO, and found that stroke recurrence was low in this population, and there was no benefit of closure over medical therapy. PC Trial and RESPECT trial, both came out last year, and compared PFO closure with the Amplatzer PFO Occluder (St. Jude Medical) to medical therapy in patients with cryptogenic stroke. There were no significant differences in the primary endpoint (composite of death, nonfatal stroke, TIA, or peripheral embolism) or the individual components of the endpoint in the PC trial. But lower than expected event rates were again seen. In the RESPECT trial, again there was no significant difference in the main, intention-to-treat analysis (composite of recurrent nonfatal ischemic stroke, fatal ischemic stroke, or early death after randomization), but prespecified per-protocol and as-treated analyses hinted at significant benefits for PFO closure. Also, secondary analyses suggested benefit in patients with substantial (grade 3) right-to-left shunt and atrial septal aneurysm. Thus, the results provided arguments to both advocates and skeptics. All 3 trials were plagued by slow enrollment rates (attributed to substantial off-label use), as well as low event rates. Advocates argue that the follow-up in the trials were not long enough to demonstrate benefit. In the current study, Katsanos et al. undertook a meta-analysis of all available prospective studies reporting recurrent stroke/TIA rates in cryptogenic stroke patient with PFO. They used PRISMA guidelines and identified prospective studies by literature search, and as well as obtained additional data from authors of the included studies. Out of potential 21 studies, they excluded studies without controls, those mixing endpoints of medically and surgically treated patients, and those with combined outcome. Appropriate statistical tools were used, including the mixed effects model to combine data, and Cochrane Q and I2 statistic for heterogeneity. Shunt size was dichotomized as small or moderate – large. They found that medically treated cryptogenic stroke patients with PFO did not have a higher risk of recurrent stroke (RR=0.85; 95% CI= 0.59-1.22; p=0.37) or recurrent stroke/TIA (RR=1.18; 95% CI, 0.78-1.79; p=0.43). 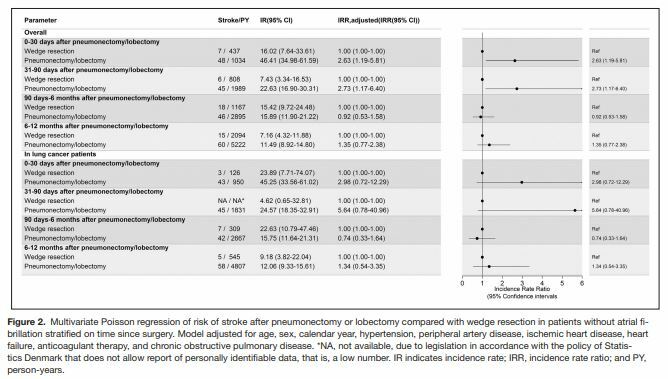 Also, size of PFO was not associated with the risk of recurrent stroke/TIA. Despite the usual limitations of meta-analyses like selection bias, publication bias, attrition bias etc., these findings add significant weight to the growing argument against closure of PFO in cryptogenic stroke patients, which is also the current AHA guideline. Another meta-analysis by Spencer et al. published in the BMJ earlier this year had also concluded that there was insufficient support for closure as compared to medical therapy, even when the analysis is restricted to ‘per-protocol’ patients or patients with concomitant atrial septal aneurysm. The lack of association with PFO size in this study corroborates with findings from the ROPE database. Currently enrolling industry sponsored REDUCE randomized trial will evaluate closure by the Gore septal occluder v/s medical therapy. But, given the findings of the above studies, I am not sure it will tell us anything that we do not expect already! As secondary prevention management guidelines have proven effective at reducing the risk of recurrent vascular events, there remains concern that there is lack of adherence to these guidelines. This study sought to assess the “real world” success of achieving NCEP-ATP III LDL guideline goals in high risk stroke patients with prior cardiovascular or cerebrovascular disease. In particular, this observational study focused on LDL levels at the new index event of TIA or stroke in the following categories: patients with pre-existing TIA/stroke, pre-existing CAD, pre-existing concomitant CVD and CAD, and no pre-existing CAD/CVD. Among the 913,436 patients evaluated from the Get With The Guidelines (GWTG)-Stroke Program between April 2003 to September 2012 within the 1246 participating institutions, 21.3% had a pre-existing TIA/stroke, 16.3% had a pre-existing CAD, 9.7% had concomitant CAD and CVD, and 52.7% had no known documented history of CVD or CAD. It was discovered at the index event that the mean LDL was 100.9 in those with pre-existing CVD, 95.1 in those with pre-existing CAD, 93.5 in those with both CAD and CVD, and 111 in those without pre-existing CAD/CVD. To put this into perspective, only 21.4% of patients with pre-existing TIA/stroke with a new stroke achieved an LDL <70 and this was also true for only 28.5% of pre-existing CAD patients. Overall, only 68% of stroke patients were at their pre-admission NCEP III guideline-recommended LDL target and among those who presented with recurrent stroke, more than 45% had LDL >100. Encouragingly, the data revealed a temporal shift in LDL management, with improved LDL control over time. This study particularly highlights the disparity between the guidelines and actual realization among these patients. In multivariable analysis, older age, male, white race, lack of major vascular risk factors, prior use of cholesterol-lowering therapy, and care provided in larger hospitals were associated with meeting LDL targets on admission testing. It is common knowledge amongst the stroke community that a spot sign seen on a CT angiogram predicts hematoma expansion in patients with Intracerebral hemorrhage (ICH). Size of the hematoma is an independent predictor of poor outcome and all attempts are made to prevent the increase in size by use of hemostatic medications and blood pressure control. The authors of this study hypothesize that addition of a 90 second delayed CT would help capture additional ICH patients with the spot sign and increase the sensitivity for predicting hematoma expansion and poor outcome. Patients with spontaneous ICH were enrolled prospectively between February 2012 and August 2013 and underwent a non-contrast head CT, immediately followed by CTA of the head with a 90 second delayed acquisition through the hematoma volume. All CTA studies were independently reviewed by two board-certified radiologists and the spot sign was identified as a focus of contrast pooling within the ICH with an attenuation ≥120 HU that was discontinuous from normal or abnormal vasculature adjacent to the ICH and was of any size and morphology. Hematoma expansion was considered significant if the volume increased by 6ml or by 33% from baseline. A multivariate logistic regression model was utilized to analyze data and sensitivity, specificity and positive/negative predictive values were calculated. A total of 121 patients were enrolled in the study however only 74 had follow up CT scans and were included in the primary analysis. A total of 15 patients had a positive spot sign detected on any CTA and the overall rate of hematoma expansion was 15%. Hematoma expansion was predominantly seen in the spot sign positive group (47% vs. 7%). Accuracy measures for the spot sign on delayed CTA were: sensitivity 55%, specificity 87%, PPV 43%, NPV 92%, accuracy 82%. When the CT scans for all 121 patients were analyzed the spot sign was seen on 36 scans, with 15 detected exclusively on the delayed 90 second imaging. The presence of a spot sign and high blood glucose levels were independent predictors of mortality in the multivariate logistic regression model. Greater than 95% of these patients with a positive spot sign were dead at follow up. This study re-enforces that spot sign is a predictor of hematoma expansion and poor outcome. The 90 second sequence is cost effective and time efficient however the numbers in the study are really small. The question arises – are we going to try everything to detect a spot sign? The authors conclude that the delayed 90 second sequence may help select patients eligible hemostatic intervention but we need to ask ourselves if it really changes clinical practice. Although the spot sign is predictive of expansion, it is only seen in a small percent of patients with ICH and a delayed CT has a sensitivity of 55% to detect a spot sign. If a safe hemostatic medication is available and approved, I wonder if we would be so selective in its use. Let’s reserve our judgement till the SPOTLIGHT (spot sign selection of intracerebral hemorrhage to guide hemostatic therapy trial) is on ICH treatment with hemostatic therapy. While therapy for acute ischemic stroke has made many advances in the past two decades, enhancement of functional recovery during the sub-acute and chronic phases of stroke represents a major therapeutic goal and one that remains elusive thus far. Current theory based on pre-clinical in vivo models suggests that a time-limited window of neuroplasticity exists following neuronal injury. One of the mechanisms is via the sigma-1 receptor chaperone protein (Sig-1R) mediated functional recovery in a model of neuronal plasticity. Cutamesine (1-(3,4-dimethoxyphenethyl)-4-(3-phenylpropyl) piperazine dihydrochloride, SA4503), is an orally available, central nervous system active, selective agonist of the Sig-1R. 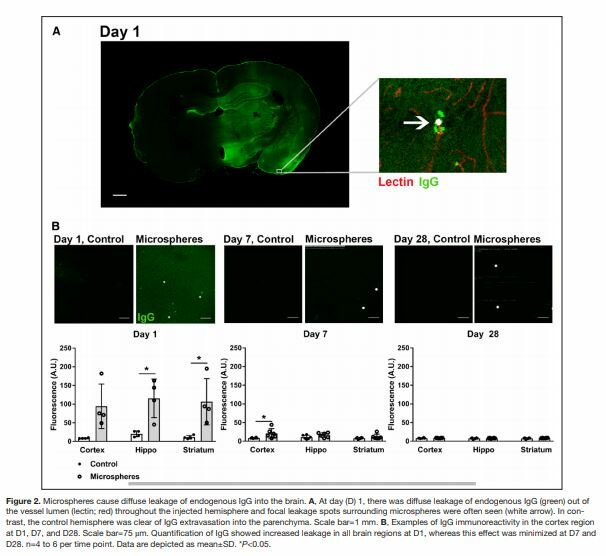 During previous studies, it has shown that use of this compound had enhanced functional recovery in rat models when treatment commenced 48 hours after stroke and continued for one month, without affecting infarct size. The authors of this study conducted a phase II clinical trial of cutamesine in which they examined the safety and preliminary efficacy of this compound in ischemic stroke patients. 60 patients were randomized between 48 and 72 hours post-stroke to receive cutamesine at 1 mg/day, 3 mg/day, or placebo for 28 days. Effects on safety and function were assessed at baseline, at end of treatment (Day 28) and at end of follow-up (Day 56). No significant effect was observed on the primary efficacy measure (change in NIHSS from baseline to day 56), or modified Rankin Scale and Barthel Index scores. Further Post-hoc analysis of moderately and severely affected patients (baseline NIHSS ≥7 and ≥10) showed greater NIHSS improvements in the 3 mg/day cutamesine group compared to placebo (p=0.034 and p=0.038, respectively). A trend also was noted towards a higher proportion of the cutesamine group being able to complete a 10m timed walk when compared to the placebo group. The nature and frequency of adverse events were as expected from the medical history of enrolled subjects and mostly reflect sequelae of the recent stroke. Clinical trials thus far investigating the effects of compounds that may enhance functional recovery following stroke have had disappointing results. Cerebrolysin is a compound that comes to mind that also did not show significant improvements in functional recovery. While the power is limited with only 60 subjects enrolled in the study, Cutesamine does show encouraging results in the post hoc analysis that moderately and severely affected patients did better than their placebo counterparts and this is an avenue for hope. The authors also allude to this in their article and one of the limitations in the study was the controlling of the rehab therapies for the patients going forward. While they do mention that further studies need to investigate cutesamine’s effect on the moderate to severely affected stroke group of patients, it should also be recommended that patient self-reported functional outcomes be utilized as a tool to assess the effects of this compound going forward. Use of the Neuro-QOL may provide a more sensitive and specific analysis of cognitive improvements in these patients. Stereotactic Radiosurgery for Large AVMs: A one hit wonder? Arteriovenous malformations, commonly referred to as AVMs, represents one type of non-neoplastic vascular structure that has been quoted to affect 0.14% of the population. While this percentage may seem small, these congenital lesion can have a lifelong risk of bleeding as high as 4% and tend to enlarge with age as they progress from a relatively low flow state in youth to one of high pressure in adulthood. It has been estimated that hemorrhage at presentation occurs in an average of 50%. Hanakita et al in their study probe the important question surrounding the proper treatment of larger AVMs. Stereotactic radiosurgery (SRS) has been accepted as one form of treatment but has historically targeted small (usually less than 3cm maximum diameter) or deep AVMs. Larger lesions have remained difficult to treat as SRS is limited by irradiation dose and larger diameter is directly related to an increased complication rate during direct excision. This study sought to retrospectively examine rates of obliteration, hemorrhage after treatment and adverse events in 65 patients with AVMs >10cm3 who underwent single stage SRS. The authors cite literature in their introduction that staged SRS has had limited treatment effects with a high adverse event rate. They propose that larger lesions may be amenable to a single stage approach. Of the 65 patients included, 12 had been treated previously with resection or endovascular therapy. The mean AVM volume treated was about 15cm3 with a mean dose of 20 Gy with only one patient treated with <16Gy. The mean observation was 60 months with radiological imaging occurring every six months. 53 patients were followed for at least three years with 41 patients achieving obliteration by this time. The authors’ site rates of nidus obliteration after SRS of 44%, 76% and 81% at 3, 5 and 6 years respectively. Their annual hemorrhage rate was 1.94%. Before recommending patients with large AVMs for SRS, one must consider that the total n for the study was small and the retrospective nature of the analysis also increases the chance for bias. In calculating the hemorrhage rate after SRS, patients who had bled after diagnosis but before SRS were excluded. Does this influence the natural history of hemorrhage after SRS? Of the 41 patients whose lesions were obliterated, only 18 patients maintained complete obliteration until 3 years after treatment. One of the recognized disadvantages of SRS is that it is usually inadequate by itself to permanently obliterate the AVM. Is this an acceptable risk in single SRS? It has also been previously documented that smaller AVMs have a greater risk of hemorrhage than larger AVMs due to the suspicion that they are under greater pressure secondary to the smaller area. With this in mind, are larger doses of radiation used to treat larger lesions worth the benefit? If the answer is no, then the necessity of treatment comes into question. Just because a procedure can be performed, does it necessarily mean that it is warranted? Large scale AVMs remain without one best treatment strategy. This study importantly opens the door to considering single SRS for therapy, but for now, the clinicians will need to continue to carefully weight risks and benefits while awaiting the availability of further research. Population based studies have demonstrated that the incidence of stroke is not equal across various races and ethnicities. Differences may be due to varying socioeconomic factors, genetic differences, or multifactorial elements. The extent to which this variability exists and the nature of the heterogeneity is not known for many countries. In this article, the authors investigated the incidence of stroke by ethnic background in the Netherlands using a nationwide database. Defining minorities as patients born abroad with at least one parent also born abroad and ethnic Dutch as those with both parents born in the Netherlands, the authors found differences in stroke subtype incidence by ethnic background. For ischemic stroke Surninamese, Turk, and Indonesian men had higher incidence than Dutch men – whereas Moroccan and Chinese men had fewer. For women there was a higher incidence of ischemic stroke in Surinamese and Indonesians compared to ethnic Dutch, and lower in Moroccans. For both intracerebral hemorrhage and subarachnoid hemorrhage Moroccan men and women had lower incidence compared to ethnic Dutch, whereas all other ethnic minorities had higher rates of ICH compared to ethnic Dutch. While varying incidences of strokes and hemorrhage were found amongst ethnic minorities in the Netherlands in this study, the underlying causes are not known. As expected, the rates of ischemic stroke co-varied with cerebrovascular risk factors which also differ among minorities. Interestingly, this study did not find that ethnic minorities had a universally higher rate of stroke subtypes, particularly in the Moroccan population. Further study is needed to inform public health initiatives and to investigate the incidences in other countries. Paragonimiasis is a parasitic infection caused by the Paragonimus species (most commonly Paragonimus Westermani) of lung flukes and is particularly common in East Asia however the more than 30 species of the flukes are becoming more prevalent worldwide. Commonly causing a pulmonary syndrome consisting of lung parenchymal hemorrhage and hemoptysis, the species is becoming more and more notorious for causing intracerebral hemorrhage, as those with both acute and chronic cerebral paragonimiasis appear at risk of having cerebral hemorrhages. The group from West China Hospital at Sichuan University set out to characterize cerebral paragonimiasis and its impact on cerebrovascular disease. The authors retrospectively analyzed the clinical and imaging characteristics, diagnosis and treatment outcomes of 10 patients with hemorrhagic cerebral paragonimiasis. The group had an average age of 15.7 years and ranged from 4 to 46 showing the younger cohort that the disease affects. The diagnosis of paragonimiasis was done by ELISA serologic testing for Paragonimus-specific IgG antibody and blood eosinophil quantification was conducted on blood samples. The manifestations of the paragonimiasis were vascular malformation, tumor apoplexy, subarachnoid hemorrhage, intraventricular hemorrhage, cavernous hemangioma, subdural hemorrhage and spontaneous intracerebral hemorrhage. Four out of the ten cases were confirmed by pathology. The hemorrhages seen were atypical of occult vascular malformations and the hemorrhages themselves had atypical appearances such as dot, strip, sheet or cord-shaped hematomas. Other imaging testing was done to rule out other cerebrovascular disease on an as needed basis. The misdiagnosis rate was approximately 100%. The importance of early detection of paragonimiasis is exemplified by the fact that paragonimiasis can be cured by therapy upon early diagnosis but delayed treatment can cause death in as high as 5% of patients. The mechanism of hemorrhage is thought to be due to vessel wall changes caused by parasitic inflammation resulting in concentric thickening, lumen stenosis and occlusion, as well as erosion of the vessel wall causing subsequent rupture. The alarmingly high misdiagnosis rate and the known increase in prevalence of paragonimiasis makes this disease one that should not be overlooked, especially in areas where the parasite is endemic or in cases of atypical hemorrhagic stroke symptom presentation and appearance on imaging. Aneurysmal subarachnoid hemorrhage (SAH) carries up to 45% 30-day mortality. Research aimed towards improving those outcomes is critically needed. Prior studies have raised the possibility of a genetic contribution to this condition and genome-wide association studies (GWAS) have identified distinct susceptibility loci for intracranial aneurysms. 1. A large cohort of European ancestry with 2617 Caucasian patients with IA and 2548 Caucasian controls was evaluated. After genotyping, standard quality review methods were applied prior to analysis. The genotyped single nucleotide polymorphisms (SNPs) were then tested for association with IA susceptibility. 2. Two independent cohorts of patients with IA’s (ruptured and unruptured) were separately evaluated for a SNP found from above (1) to determine whether results could be replicated. One was a 786 Dutch patient group with 3110 controls; the other a Finnish cohort of 851 patients with 3217 controls. Finally, a meta-analysis was done in the identified SNP region with all patients included. When evaluating the initial large cohort, a novel SNP was identified on chromosome 7, located in an intergenic region of the TWISTNB, MIR3146, and TMEM196 genes (p<1×10-7). SNPs near this one have been previously associated with ischemic stroke and large vessel disease (LVD) subtype. Additional SNPs associated with IAs were found in CDKN2BAS on chromosome 9 (p<1×10-11, OR 1.34) as well as on chromosomes 4 and 8 (demonstrated in prior reports). When the novel SNP on chromosome 7 was analyzed in the two pre-identified, independent patient cohorts, the Dutch sample population replicated the initial findings (p=0.01), whereas the other group did not. The meta-analysis of results with inclusion of all cohorts did re-demonstrate significant association (p<1×10-9) between this SNP and IA. This study addressed some of the key issues that can limit GWAS interpretation – a large patient sample was used, standard quality control metrics employed, and the novel finding was replicated in an independent cohort. The fact that the same region on chromosome 7 was previously associated with ischemic stroke and LVD phenotypes supports the biological plausibility of the new result (given shared epidemiologic risk factors with IA). A corollary of this is that genetics and pathophysiology of IA and LVD-associated stroke may be shared. Furthermore, SNP’s consistently identified from the chromosome 9 region associated with IA have also been linked to LVD, myocardial infarction, and aortic aneurysm. vascular pathologies. Implications of such work may allow us to improve targeted prevention efforts for different individuals as well develop novel therapeutics that have a rational basis on the functions of implicated genetic regions. Park et al evaluate whether markers outside of LDL alone have any predictive value for secondary prevention of stroke. They evaluate ratios of TG/HDL, TC/HDL, LDL/HDL. Data was reviewed from the Vitamin Intervention for stroke Prevention (VISP) trial. The VISP trial was a multicenter, double blinded, randomized control trial performed in 2004 at centers across the US, Canada and Scotland which enrolled 3680 patients to determine whether high doses of multivitamin given to lower homocysteine levels would reduce the risk of recurrent stroke and major vascular events in non-cardioembolic ischemic stroke. Primary results from this study showed that folate supplementation for elevated homocysteine levels did not change outcomes in terms of recurrent stroke. In this study, serum lipid levels were obtained after an overnight 12 hour fast and at 6,12 and 24 month visits. Park et al tap into this data set. Patient’s data were pulled from their last follow up visit which was defined by the last documented study encounter that preceded either a vascular outcome event or end of trial. Primary outcome was ischemic stroke. Secondary outcome was a composite of stroke, CHD, MI or vascular death. Each lipid variable was divided into quintiles. A hazard ratio for vascular events by increasing strata was calculated. In the end, when comparing the top quintile to the bottom quintile, the only category which had a p value of significance for both the primary and secondary outcome was the triglyceride/HDL ratio. Taken altogether, there is suggestion that elevated TG/HDL ratios may be of prognostic value for identifying subjects at risk of a secondary stroke. Prior populations studies have shown no relation between TG/HDL ratios and an increased risk of stroke. However the population evaluated from that study was a mixed patient population. From a secondary standpoint however, TG/HDL may have significance. If this finding is true, then there may be a role of adding a fibrate on to standard statin therapy to decrease the risk of a secondary stroke. Evaluation of this theory would include a double blinded randomized controlled trial with statin vs statin + fibrate and evaluating stroke as a primary outcome and TG/HDL ratios as a secondary outcome.